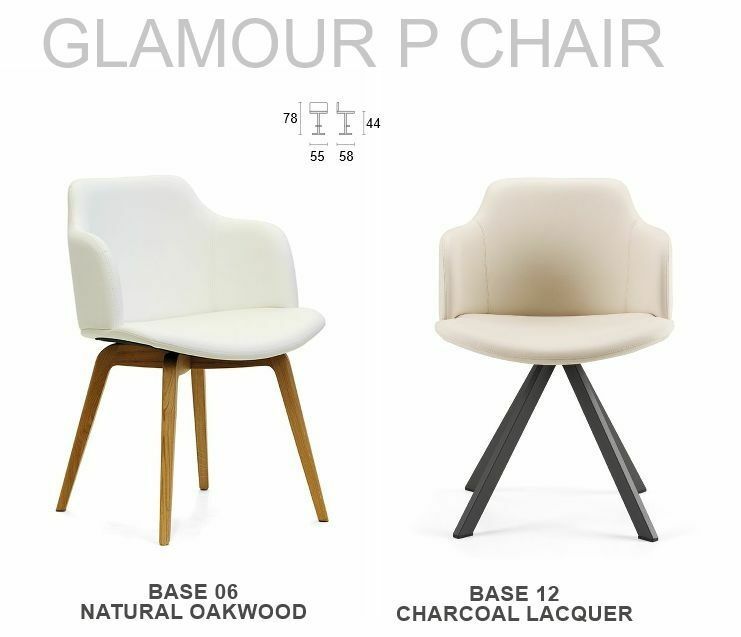 The Glamour P Arm Chair is the largest version in a set of Glamour Chairs. 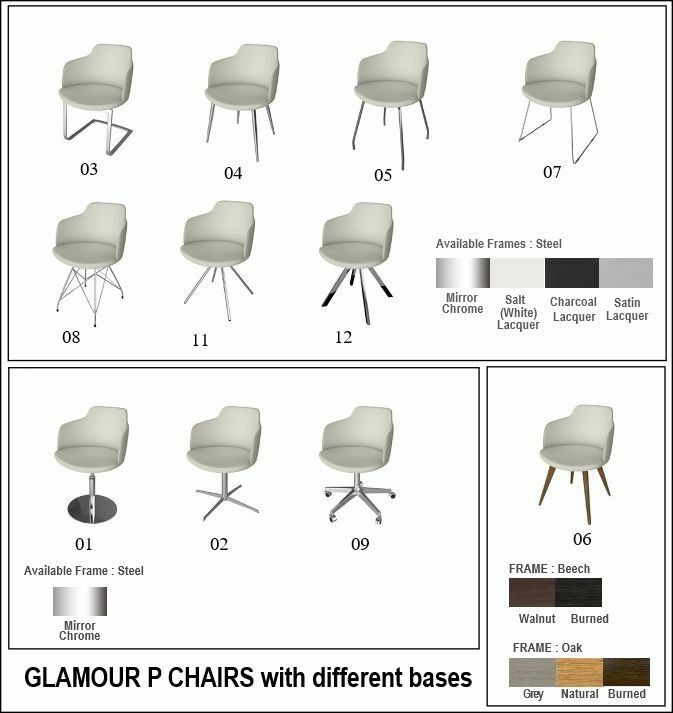 The other versions are all Side Chairs with variations in seat and back details. 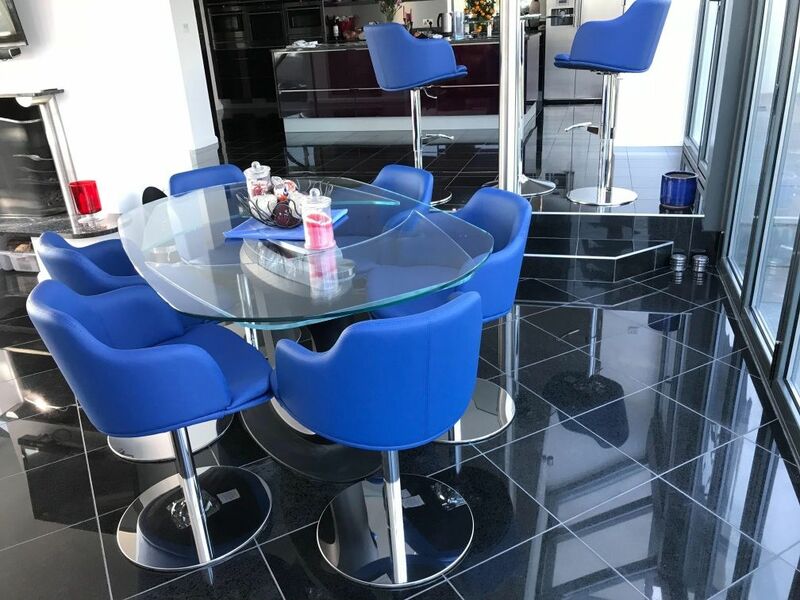 As you can see, the different styles include 6 versions with 4 legs in different configurations, cantilever & skid Base versions as well as 3 versions with centre pedestals, including one office desk chair with castors.